You can have an idea about our technology by watching this movie. But, you need to get password from us to watch this movie. So, please send us your information like your name/address/affiliation, then we will send you the password. regarding our technology after watching this movie. 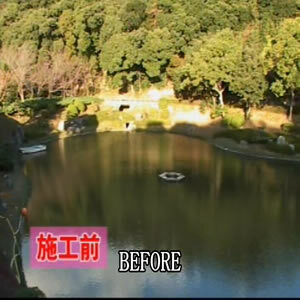 Pond and Lake Purification Scenario, Condition of Water Surface Before and After Purification. 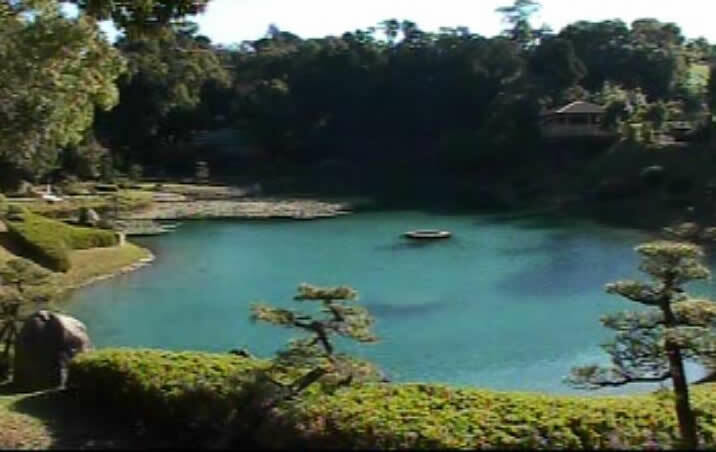 ○Even a larger pond can be purified in a short time. ○Fishes will not be affected. 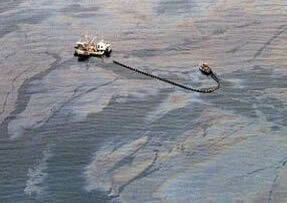 ○There is also technology that can remove floating mud which is the main cause of pollution. ★Poly-Glu is the best technology facilitating not only drinkable water in the developing countries but also can improve the water pollutions at large. 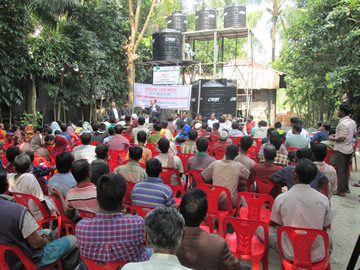 In the developed countries the technology is being used for industrial and effluent water treatment. You can produce SAFE DRINKING WATER by yourself! Will you try making POLY-GLU Drinking Water Device for Small Community? profit can be made by selling water to the neighboring villages also. This kind of business is already being done in various African countries. So, there is no need to suffer for water issues any more. 600 liter of pure water may be produced per hour. Hello, High School Students of this Planet! Anyone will be surprised to see the effectiveness of PGα21Ca and PGM. The only demerit of POLY-GLU is said to be its higher price in comparison with conventional water purifying agent (flocculent). you can easily understand the superiority of our product. ● Anyone can very easily treat water by using a simple water treatment device. with the cost of a conventional water treatment device. of this flocculant is natural. ● Considerably cheaper price can be offered for purchase in bulk. An Earnest Request to Our Valued Customers! to know about the Mission of POLY-GLU before starting any business dealing. for our company brochure, our product samples and business with us. that we have very responsibility for users of our product. 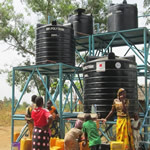 A person cannot drink dirty water again, once he/she starts drinking clean water. it would simple be a sin. So, we would request our valued customers not to contact just for out of curiosity. 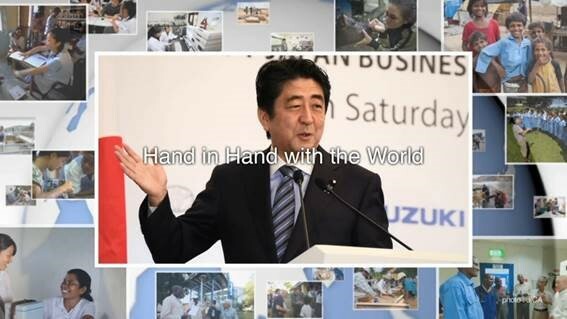 NHK WORLD "Biz Buzz Japan"
NHK WROLD TV "DIRECT TALK"
Water even changes the mind of people. in an unimaginable short time. brings pleasure to our mind. Clean water also gently changes the mind of a person. POLY-GLU’s mission is not only to make sure that ‘the world people can take water without fear’ but also to contribute to the solution of the problem of oil falling, red tide and other natural disasters and industrial water treatment. This POLY-GLU DEVICE is so simple that a local staff can learn its operation, inspection, repairing in a training for only one day. IOM General Amb. William Swing thanks Mr. Kanetoshi Oda CEO Poly - Glu Social Business for the continued successful partnership in Africa at the #TICADVI conference in Nairobi, Kenya. 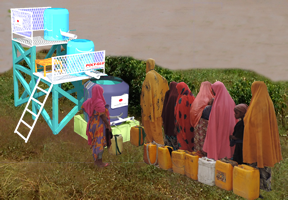 Our simple and safe drinking water technology is expanding in Africa countries. Background of POLY-GLU Water Business. 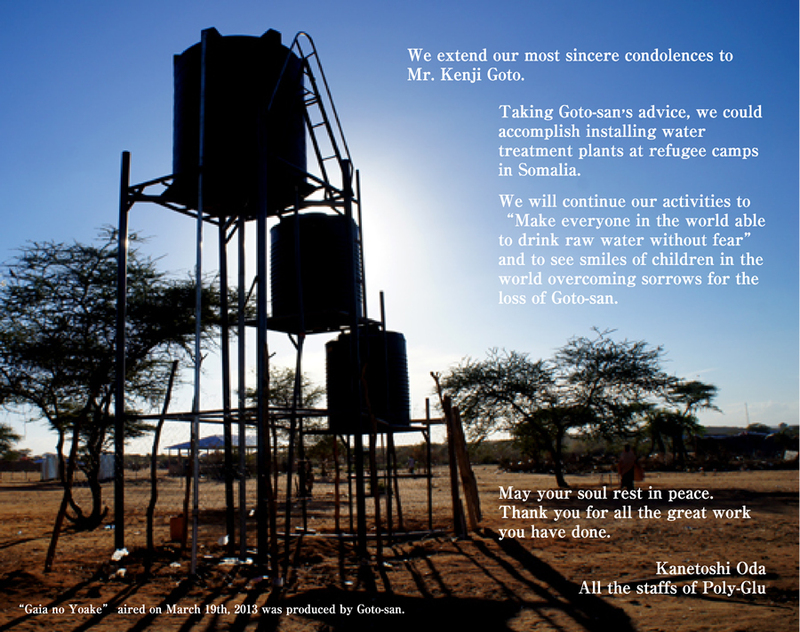 Ensuring Safe Drinking Water for All People of the World and Eradicating Poverty from this World through Water Business. Our environment business for the nature has been highly evaluated. IOM cooperates with our company. We have more information in the library .